All roof sections are rolled separately, no one piece of screen over head. Single panels for each section. Another complete re-screen with quality phifer screen products. 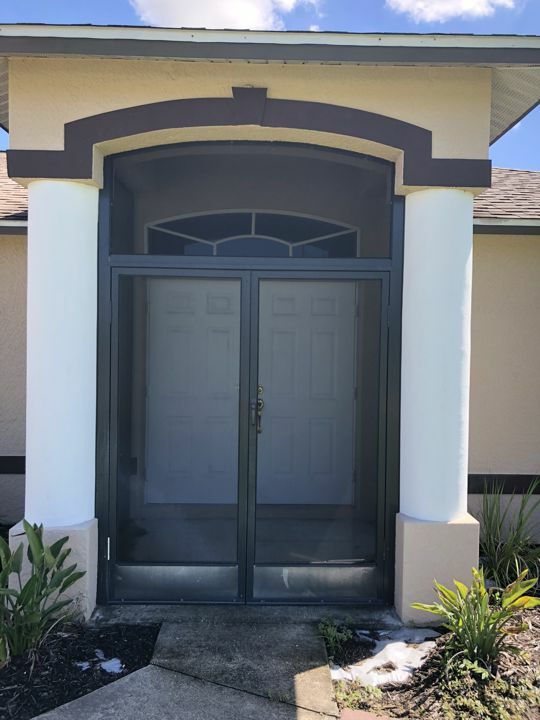 One panel or a complete re-screen, we get the job done right. 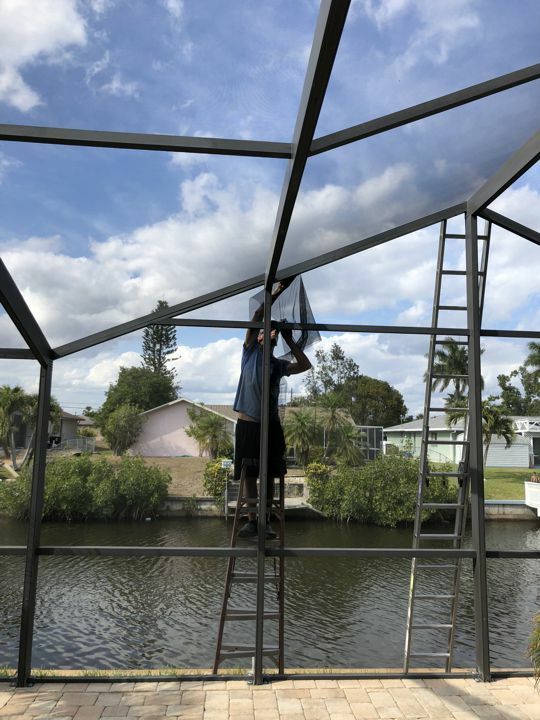 We provide screen repair and installation services for Cape Coral and surrounding communities. Daniel screen service does one panel or a complete re-screen. We have competitive pricing and only use phifer screen products. Safety is a priority and we only use OSHA approved wall planks and new class A ladders. 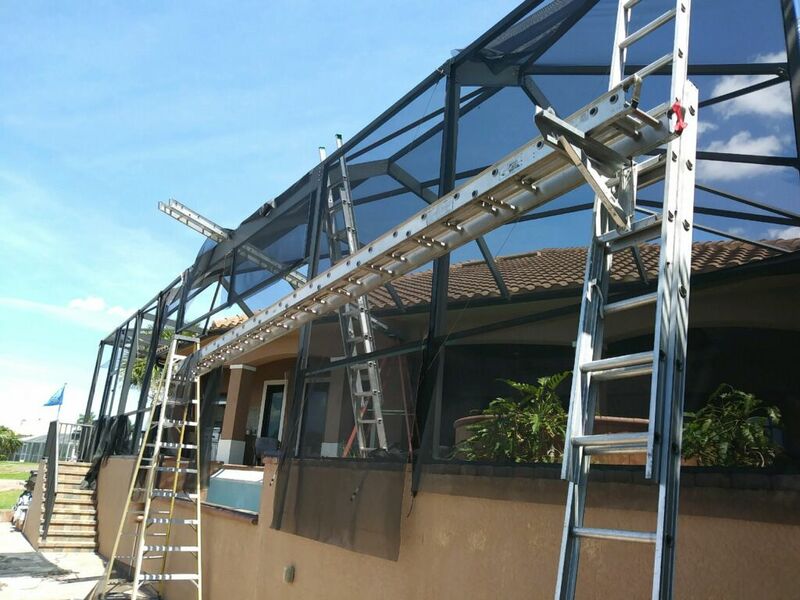 We service lanai, patios, entry doors and pool enclosure screens. 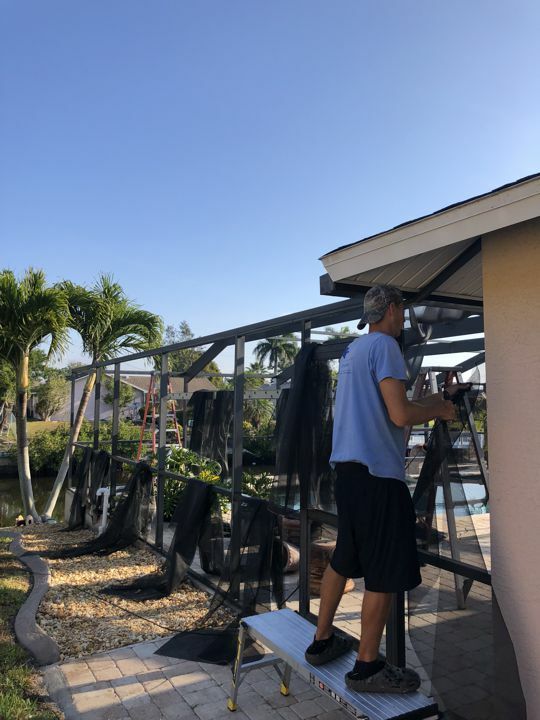 For fast and reasonably priced screen repair services for the local Cape Coral community, don't hesitate to give us a call at 239-573-6366. 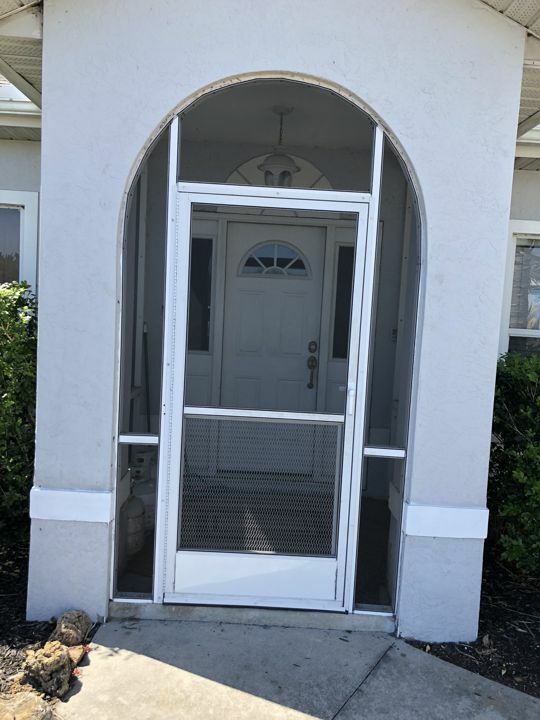 I am a local small business owner living and working throughout the Cape Coral community. I moved to Cape Coral in 1971 and when I became of age, I then joined the Navy in 1981 right out of high school. I spent my four years in the UDT seals teams as a support technician. I was honorably discharged in 1985 move back to Cape Coral and have lived and worked here ever since. 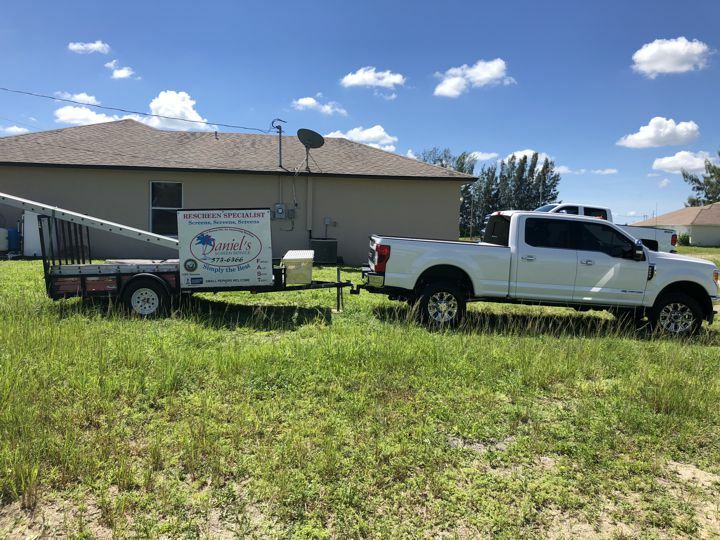 After working for a screen company for eight years I started my own business, I became a state certified contractor, in order to keep up with the strict new licensing requirements. I answer all my phone calls and do all my own work. I have A+ rating with the Better Business Bureau and a nearly perfect Google review rating. Thank you for considering me for your next screening project. All estimates are free and I show up on time every time. 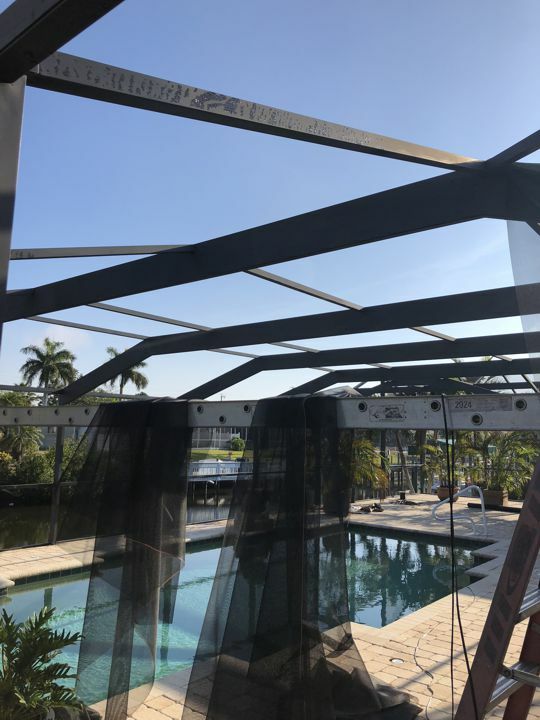 Known as NO-SEE-UMS screen, this fiberglass screen is a tightly woven 20×20 mesh designed to keep out smaller flying insects. While densely woven, this screen still allows good ventilation and visibility and provides some daytime privacy. 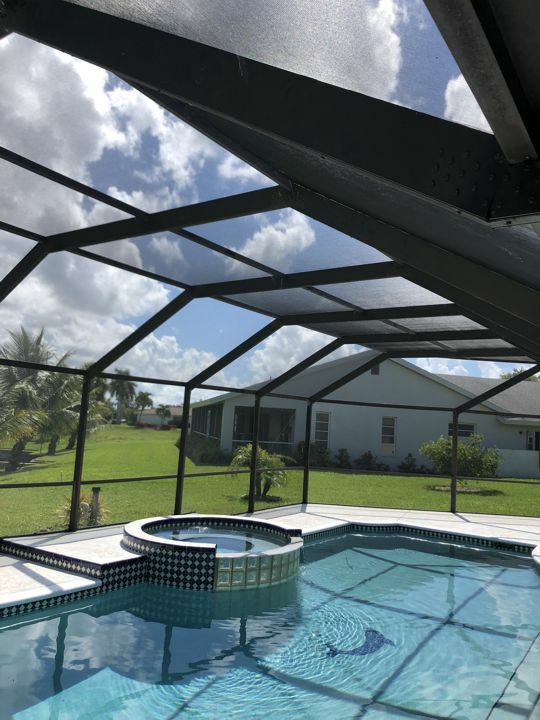 Phifer’s fiberglass screening is woven from permanent glass yarn which has been coated with a protective vinyl to ensure lasting beauty, color and flexibility. It is produced under the most exacting conditions to meet extremely rigid specifications. 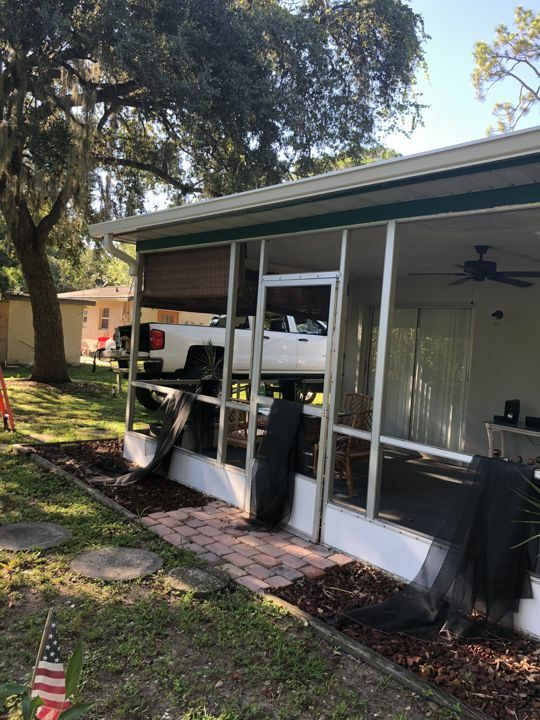 Fiberglass screen is noncombustible and will not rust, corrode or stain. Learn more here. 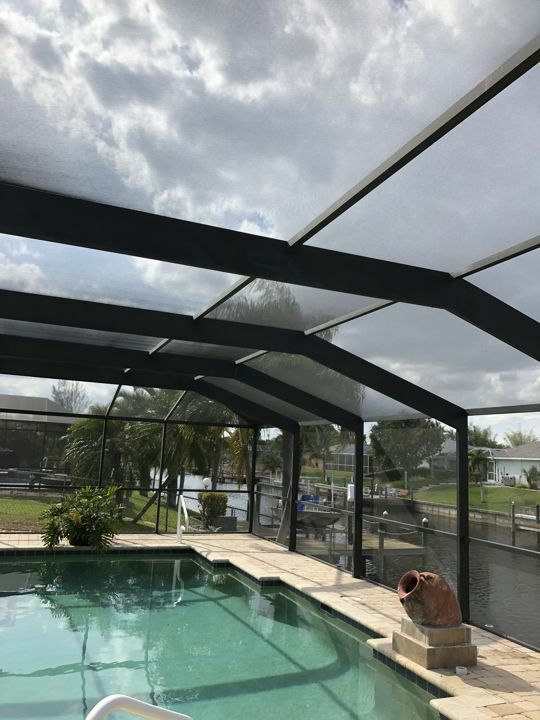 Phifer Glas-Shield is our 18×14 fiberglass mesh that has been vinyl – laminated. 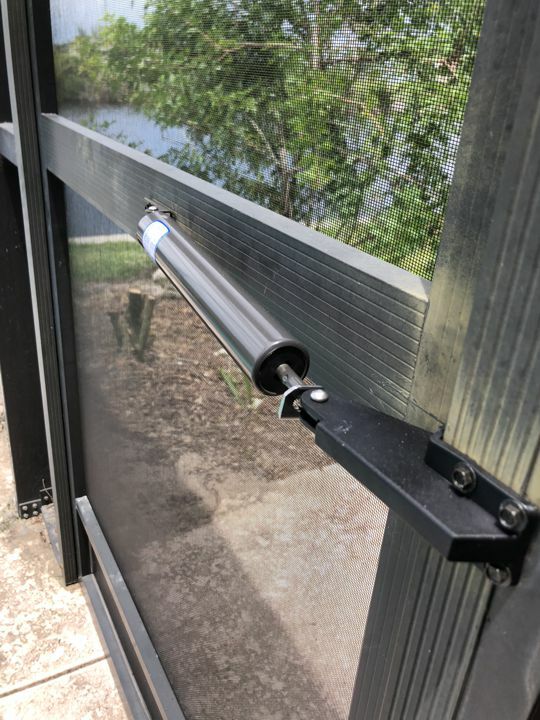 Glas-Shield can be installed in the lower enclosure panels (chair rail down) to keep dirt and debris out of pool enclosures. 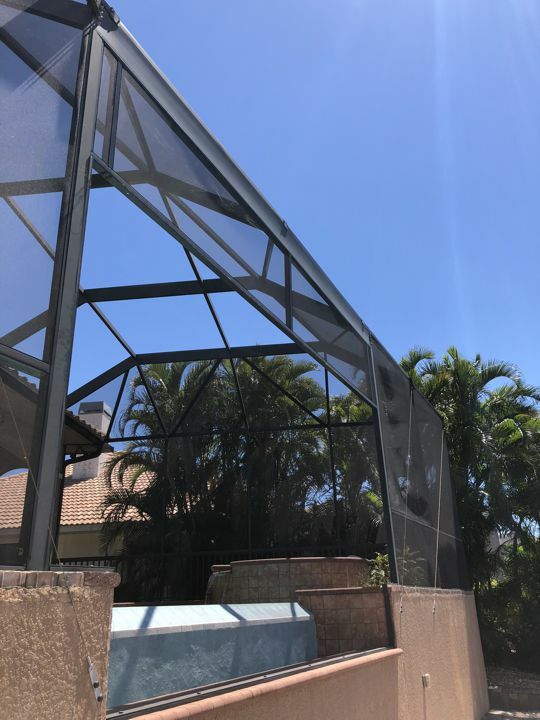 Glas-Shield also functions as a privacy screen in vertical (wall) applications, however it is not made to be used as roofing material or in horizontal applications. Learn more here. The second generation of Super Screen™ has better visibility. It's stronger and more durable, carcinogen-free, pet resistant and comes with a 10 year warranty. What you get with Super Screen™ second generation is quality, longevity and value. You may never have to re-screen again. Don't purchase a knock-off. Be sure to look for the gold line and the gold seal. Learn more here.